As a creative business, we rely on the talent, skills and initiative of our employees in all areas of our operations around the world. We recognise talent within our staff and seek to help them develop through investing in their future. Our staff are empowered to take ownership of their own careers with coaching support and opportunities, in many forms, from the business. Fried Puppy Dog Discs has long taken the lead among music companies with employee initiatives such as flexible working, family friendly policies and flexible benefits. Recruitment at Fried Puppy Dog Discs is handled locally through our network of offices around the world. 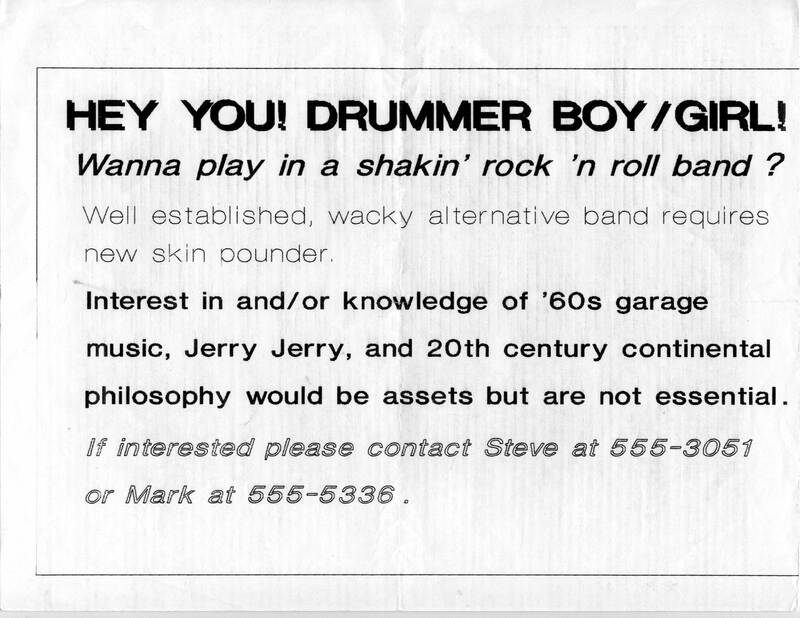 I know a Swedish drummer who might be interested. Fried Puppy Dog Discs is committed to creating a diverse environment and is proud to be an equal opportunity employer. All qualified applicants will receive consideration for employment without regard to race, color, religion, gender, gender identity or expression, sexual orientation, national origin, genetics, disability, age, or veteran status. Would I need to have my own drums? ‘Experience’ (which could mean anything) is not required but commitment — and equipment — are. Truth be told, the commitment is optional too.